Since the establishment of the company, VPNSecure.me has been working to deliver Internet users with browsing safely and privately while running a premium VPN network optimized for good speed and reliability. They currently operate over 70 secure servers located across 48 countries worldwide to help their customers bypass censorship, geo-blocked websites and content throughout the globe with professional privacy. By purchasing their VPN service you can enjoy unlimited bandwidth, faster speed and your choice of servers in 48 countries around the world. VPNSecure has built one of the best logless VPN service networks and the easiest VPN client apps in industry. Thousands of customers put their trust on VPNsecure as best secure VPN service provider of current time for anonymous surfing. In this VPNsecure review, we’ll introduce you first with the pricing plan of this provider so that you can choose one plan that best suits your desire of using best VPN service. VPNSecure currently has 3 pricing Plans: 1 month Plan, 6 months plan and 12 months Plan. And all plans include same features. If you need a Dedicated IP or just want PPTP or Proxy, VPNsecure provides cool packages you with strong online security and privacy. VPNSecure offers trial accounts available at a cost of $2 per 2 day period for either OpenVPN and PPTP, all accounts come with HTTP proxy as well. You can also get a Free trial limited to one USA server with OpenVPN account (according to my practical experience, this free trial does not advocate the true performance of their Premium plan. I suggest VPNSecure either to remove this free trial option or improve its performance as like as premium plan. People may get bad impression from this free trial facility where as the performance of their Premium plan is more superior and impressive). VPNsecure has 70 private vpn access servers in 48 countries which are monitored, access controlled, operated solely by them —by no one else. Each server supports all popular protocols, including: PPTP, OpenVPN and SSH SOCKS. With the very best server locations and low ping times, you will find a fast server close to you. Device compatibility is a very important matter in VPN perspective, because if you purchase any VPN service that is not compatible with the devices you use then you have loosen your money. It doesn’t matter if you use Windows VPN, Linux VPN, Android VPN, Apple Mac VPN or an iPad VPN, VPNSecure have you covered. VPNSecure works with the new version of Windows operating-system including Home windows XP/ Vista/7/8/10. Al facilitates Mac OS X 10.6.8, Ubuntu (Linux), Stainless e-book a Routers (DD-WRT and Tomato). Their services aren’t limit within only Macintosh personal computer and house windows, they also have launched user-friendly apps for Google Android and iOS (iPad & iPhone) device In their personal website. VPN performance is reliant on many factors, some of which can be hard to predict. VPNsecure upgrades all of their server-connections as usage and requirements rise. They do not “oversell” like many of their competitors, and do their best to maintain a high standard of performance for all clients. I found their server network speed very stable and cool. In this VPNSecure review, I’ll depict an overview of the security and privacy level of VPNSecure client software in detail. 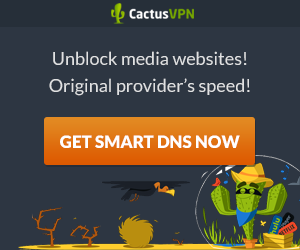 Their powerful VPN software is built to establish a highly secured and profoundly encrypted VPN connection between your computer and their VPN servers. When you use it. all in-and-outgoing connections is anonymized and no third-party can see your real IP address. For ensuring utmost online privacy and security in any situation, VPNSecure offers the latest VPN protocols facility so you can choose your preferred level of encryption, speed, and privacy protection. The Protocols are: OpenVPN, SSH Tunnel and PPTP. OpenVPN: OpenVPN is the best performing protocol with faster speeds, even on connection with high latency and across great distance, most reliable and stable protocol, even behind wireless routers, on non-reliable networks, or on wifi hotspots. It is the recommended protocol for desktops including Windows, Mac OS X and Linux. OpenVPN is considered to be one of the safest and reliable encryption protocols. OpenVPN lends itself if you want to use strong encryption, and possibly want to cascade multiple VPN servers, or want to direct your traffic through an additional proxy. As soon as the OpenVPN connection is established all Internet traffic is routed through the VPN automatically, regardless of the client software being used. Their configuration files can be used with the OpenVPN client software. In short, OpenVPN is a mature and robust piece of open source software which provide a reliable and secure VPN service. It is a versatile protocol and can be used on both TCP and UDP ports. It supports a great number of strong encryption algorithms and ciphers – to ensure the protection of your data VPNSecure offers the OpenVPN that is using OpenSSL with algorithms 3DES, AES, RC5, Blowfish, 128 bit encryption with 2048 bit keys, 2048 bit encryption for control channel (e.g. Key based authentication.). We recommend it for the most security-conscious. PPTP: PPTP is a slightly faster due to 128-bit encryption, easy-to-use protocol with a simple setup process. But it provides the basic security. It is a good choice if OpenVPN™ isn’t supported by your device and utmost security is not your top priority. PPTP is available for Mac, Windows, Linux, iOS, Android, DD-WRT, and others — but does not supports AES encryption. Instead, PPTP uses Microsoft Point-to-Point Encryption, which has severe security weaknesses. This weaker encryption method makes it a fast performer. Problems may arise when some home routers or ISP do not allow Generic-Routing-Encapsulation (GRE) tunneling. Overall it’s easy to set up, widely supported and is a great choice to bypass geo-restrictions. SSH Tunnel: SSH Tunnel consists of an encrypted tunnel created through an SSH protocol connection that uses SSH for security/encryption and works via TCP using port 440 to provide a means to bypass firewalls that prohibit certain Internet services – so long as a site allows outgoing connections. In recent SSH Tunnel, L2TP also can be created that is using IPSec for encryption with 256 bit key for encryption, 3DES/AES algorithm. SSH Tunnel provides fast speeds and supports Windows, Mac OSX, Linux, Android, DD-WRT, Tomato. It is easy setup/configuration, bypasses restrictions by networks or ISPs. SSH Tunnel usually achieves lower speeds than other protocols, but its ability to bypass network restrictions and strong security make it a good choice. The disadvantage of it is that it’s stability may vary depending on network, Not easily blocked. Well…I performed multiple tests using OpenVPN protocols and servers offered by VPNSecure at different IP tracker websites to see about how much capable VPNSecure is of hiding my real IP assigned to my local ISP. I am highly impressed and very delighted to say that I found all of them supremely OK. I, for example, only show below here the image of the test result got at renowned IP tracker website whatismyipaddress.com . The image shows that their client software works perfectly in hiding my real IP address assigned to my local ISP, as my IP is not visible. You only see an France IP Address 195.154.243.5 perfectly altered by VPNSecure. I show below here, for example, 3 images from my test results got at reliable DNS leak tracker websites www.perfect-privacy.com/dns-leaktest , www.dnsleaktest.com. and ipleak.net. You see the images showed the common result of ‘No DNS Leak’, as you only see Luxembourg IP address and DNS information assigned to VPNSecure; not the DNSs assigned to my local ISP. Note that under various conditions, even when connected to a VPN, the operating system you use may continue to use its default DNS servers instead of the anonymous DNS servers assigned to your VPN and therefore DNS requests might not go through the VPN tunnel because of your router’s default configuration. And in that case, you might experience DNS leak. If you face this threat, don’t hesitate to contact VPNSecure’s talented and expert technical support members. I have got an excellent experience about this issue with VPNSecure. In spite of checking their ‘DNS Fix’ option, I faced DNS leaks even when connected to VPNSecure’s VPN tunnel. I immediately contacted their support team and a very talented VPN expert came foreword to help me fix this unexpected issue via ‘Teamviewer‘. Unfortunately I was not prepared to record that eye catching live assistance of fixing my DNS leak problem. I have not ever experienced such friendly support from any VPN provider in my life. That live assistance gave me the impression that they are highly qualified and talented to provide world class VPN service. The images of my DNS leak test posted above has been taken after the manual fixation of DNS leak issue by VPNSecure support team. Reports from some users have brought to light a Internet security hole first in VPN industry that might reveal your local IP address to websites/web-browsers through ‘WebRTC’. The ‘RTC’ in WebRTC stands for Real-Time-Communication, and the API directory is used for voice calls, video chats, and p2p file sharing. This WebRTC was originally developed to aid certain types of connections between browsers without the need for an additional plugin. But today’s most remarkable worrying subject in VPN industry has been WebRTC that could be used to discover your local IP address provided by your local ISP, even under the presence of a VPN connection. So, does VPNSecure client software have the capability to protect your local IP address from being leaked through WebRTC? Nowadays different websites, ISPs and Governments of different countries around the world are using DPI (Deep Pack Inspection) technology to spy on people’s online activities and control their access to the Internet. This DPI can only tell them that you are using encryption and that your packets are coming from a VPN server. And It is not a magic wand that breaks encryption. And so far, despite pretending to do exactly that, not even the NSA has ever broken a single packet with or without DPI. To bypass DPI VPNSecure added StealthVPN protocol. Note that If VPN connection was detected, then it would say – ‘You are connected via generic tunnel or VPN and have made …. hops. Your connection type (generic tunnel or VPN) is rather uncommon for the average internet surfer, and could suggest proxy/VPN use’. So, VPNSecure may be a great choice for the users who live in such countries that exercise Internet censorship such as China, Turkey, Iran, the United Arab Emirates etc. VPNSecure is seriously committed to client’s privacy. To ensure their users’ privacy they accept Bitcoin too from their users to pay for their services. So, you can pay anonymously using only your email address. “It is VPNSecure Pty Ltd’s policy to respect the privacy of its members. VPNSecure Pty Ltd will not monitor you or your use of the Service, including its contents unless VPNSecure Pty Ltd has reason to believe that such action is necessary to: (1) conform to legal requirements or comply with legal process. Ans:- a) – VPN Nodes are Rented Servers. b) Encrypted disks, boot passwords, locked down file permissions, locking out un-required devices like usb ports etc – Hosting providers do not need access to machines to capture traffic, because inbound traffic is encrypted and outbound traffic isn’t it wouldn’t matter if the provider had access to the machine or not, they could simply capture the traffic on a network port of the switch itself – But they would see the same thing as if they were connected to the machine itself, encrypted inbound and decrypted outbound. Ans:- a) We own and operate the hardware in a Co-located environment. b) Database server connected to our internal network. c) Built in house – [www.vpnsecure.me/members] d) There is a plethora of practices in place, such as CSRF, A+ SSL, WAF etc, however the password is RSA 2048bit encrypted within our database which is managed by an off-net server. 6-Q: We see what username and password are used to login to user account-area are also used to login to VPN client software/apps. And that means user account area is linked with VPN client software/app . Do you store or monitor user’s real IP address and time stamps when he mare logs in to or logs out from both the account area as well as VPN client software/app? If you do, then which server do you manage to store them —VPN servers or any separate servers where website or user’s personal account information is stored? 9-Q: Suppose a court order has come to your company against any of your IP addresses that has been used for any online activity and that should be under official investigation. If enforcement agency goes into the entire content of associated VPN servers which the accuced IP address belongs to, then will you or enforcement ageny be able to find out any connection/activity logs of any perticular period of time in any way that can be matched with any user account. I am asking this because, we know all most all of the professional VPN providers basically provide shared IP addresses to ensure sufficient interface crowding on the servers and crowding is used to increase the total number of users sharing the same IP, which combined with encryption makes it harder for a 3rd party to attribute an outgoing connection to an incoming one thereby significantly increasing users’ privacy. So it becomes harder to identify any particular user’s logs. But yet, if hypothetically we assume that user ‘X’ is the only user who is using a VPN server at a particular short period of time (for example 10 minutes) and none other else, then can you anyhow identify which account-user is using the server, what his real IP address is, what location he is residing in and what activities he is performing at that specific time period? Ans:- No logs are stored, [www.vpnsecure.me/tos] — You will only find no users on VPN servers from VPN providers that have very little customers, but this is a suitable concern but would not affect our users. Ans:- We use third party servers, But they are resolvers to our own DNS Servers, therefore the source of the IP is always the IP of our servers and not the end users. 11-Q: Do you use any third party support software (like email software, Live Chat software etc) which is linked to the user-accounts and that holds information or logs of subscribed users? Ans:- We use zopim for live chat – this isn’t linked to any user accounts – we use our own in-house hosted support system. 12-Q: If you receive a valid court order or subpoena that requires your company to identify any active user of your VPN service, then a) what do you do? b) what will you be officially able to provide them from account area and VPN servers? Ans:- a) We would comply and provide them with any information that we are able to pertain based on the information they were able to provide us. b) Due to our policy of no logging, if the incident is not currently live in progress in general we would not be unable to provide information. VPNsecure will not refund under any circumstances if a particular site or service on the internet does not work, for they cannot control what is outside the realm of their VPN network. VPNSecure provides customer support through 24/7 live chat, email and support ticket. They have also provided an FAQ’s section and Knowledge-base section. I boldly say that many times I contacted them on Live Chat to know something about their company and services associated with both technical and general issues, their responses were very professional and impressive, friendly, quick and helpful. Their email support was professionally better too. As I mentioned above, I am very much impressed and happy to have ever experienced a very friendly and eye catching live customer support from a very talented VPN expert who, via TeamViewer, himself solved a technical problem manually. This is the reason I honestly consider VPNSecure to be the best VPN service provider in the perspective of customer support that I have ever experienced in VPN industry, beside apps’ performance.